Mae Simmons Park Engagement. 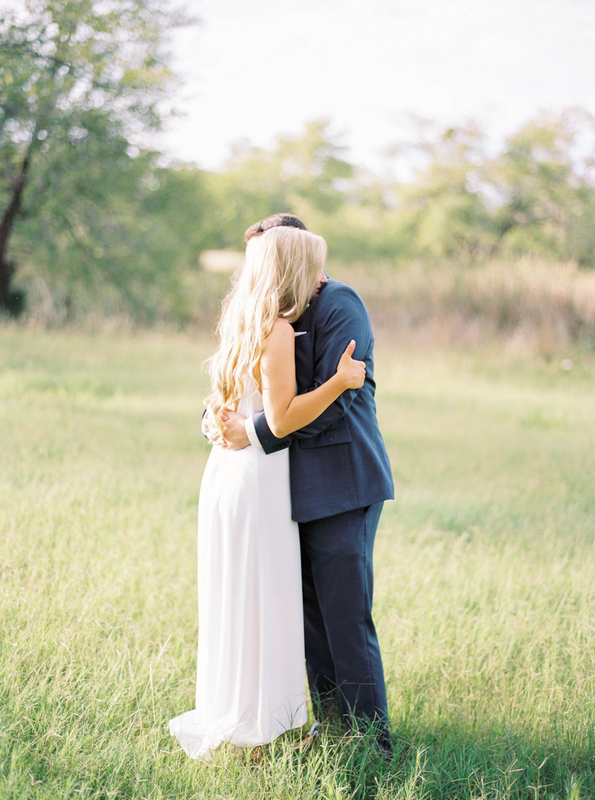 This engagement shoot takes us deep in the heart of Texas, where we find a gorgeous couple exploring the beautiful outdoors. Set in Lubbock, they take us on a journey from a peaceful waterfall to the city’s charming streets, all with the lovely promise of marriage wrapped up in each shot. The first half of the shoot shows a couple dressed to impress. The bride-to-be wears a white maxi dress and statement necklace. Her fiancé looks handsome in a navy blue suit, complete with a white pocket square and brown shoes. They walk hand-in-hand through the tall grasses of Mae Simmons Park, admiring the golden touches of the trees. They make their own music as the groom takes the lead and dips his fiancée right there in the center of the field. They smile, hug and embrace. The wind gently blows through their hair as the park's waterfall beckons them from a distance. A picture perfect for a save-the-date, the couple crouch down for a classic shot, showing the bride’s beautiful ring and their pleasing smiles. The gorgeous water flows down the rocks as the couple touch foreheads in a beautiful, romantic scene. They do an outfit change for the second half of their shoot. She sports a light blue off-the-shoulder dress. He coordinates with a white button down shirt and khaki pants. They look right at home holding hands on the sidewalk of the attractive Vintage Township. It’s the epitome of the white picket fence dream! The most endearing quality about this final shot is that it’s so real and what we presume many days will look like for this lovely couple. Beauty is all around, you just have to chase it. 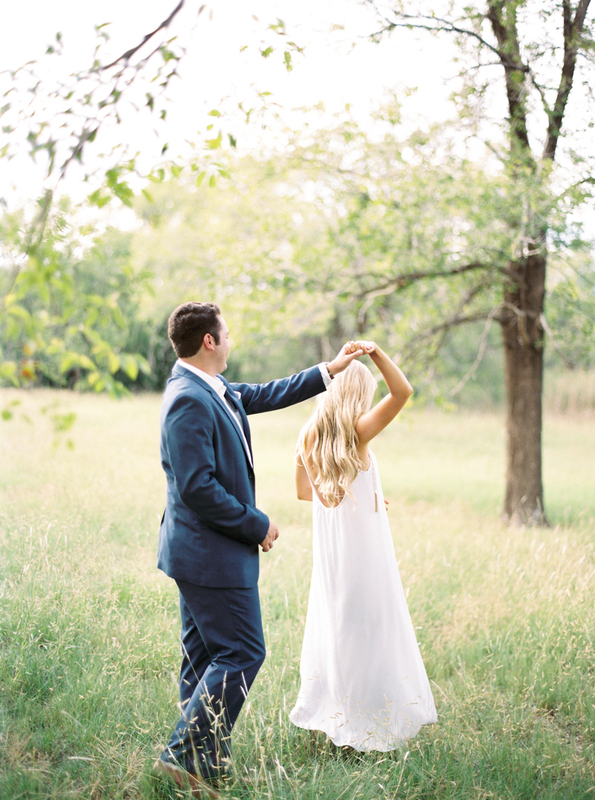 Finding a gorgeous backdrop in Lubbock, Texas, wasn’t hard for this couple. 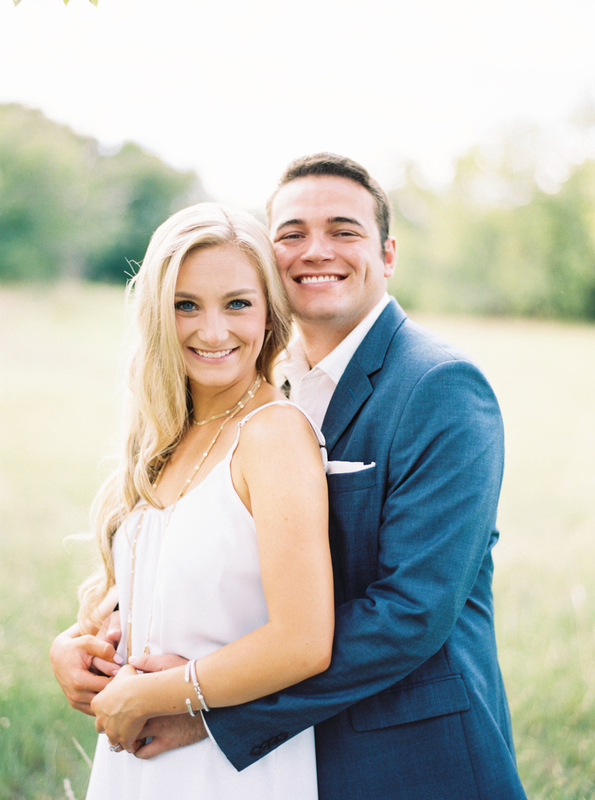 Spending time at both Mae Simmons Park and Vintage Township was all they needed to round out their timeless and tasteful Texas engagement session.